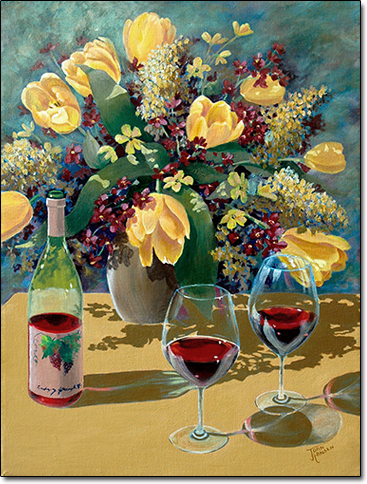 May this painting remind you of time spent with good friends enjoying great wine and stories of your many adventures to wine country. The painting was created with acrylics on canvas. This original painting is available. It is framed with a gold leaf moulding and linen liner. When you make your selection, click on the Add to Cart button to finish your purchase. Free shipping for this original painting!